German conceptual artist HA Schult (b. 1939) has often worked in the realm of other people’s trash, creating large scale-works that force art into everyday life and call attention to the massive consumption of Western society. 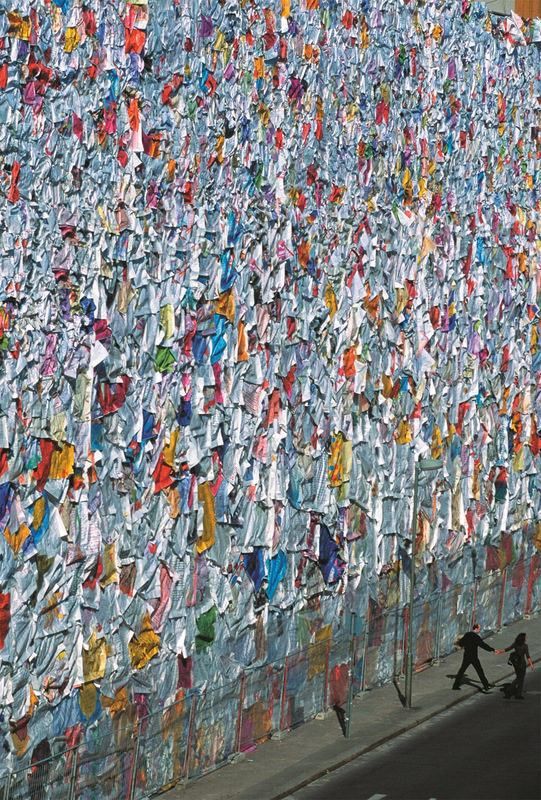 In Schult’s installation “Trash People,” he built hundreds of human-sized figures with cans, license plates, and soda bottles—a trash army built from garbage dumps that has been traveling the world for the last 19 years. 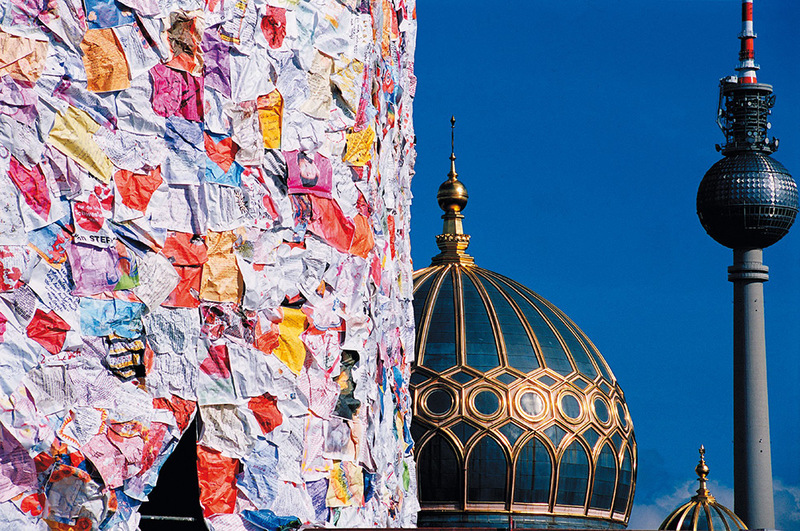 For his 2001 piece “Love Letters Building,” Schult used purposeful documentation instead of unwanted detritus to cover the facade of a former Berlin post office. Schult sent out a call for love letters—a gesture highlighting modern German romanticism, and a not-so-subtle reminder of the age before quick exchange email. The response to his public request was overwhelming. The resulting 150,000 letters ranged from heartfelt to humorous, subjects ranging between lovers, relatives, and even an owner and a pet.